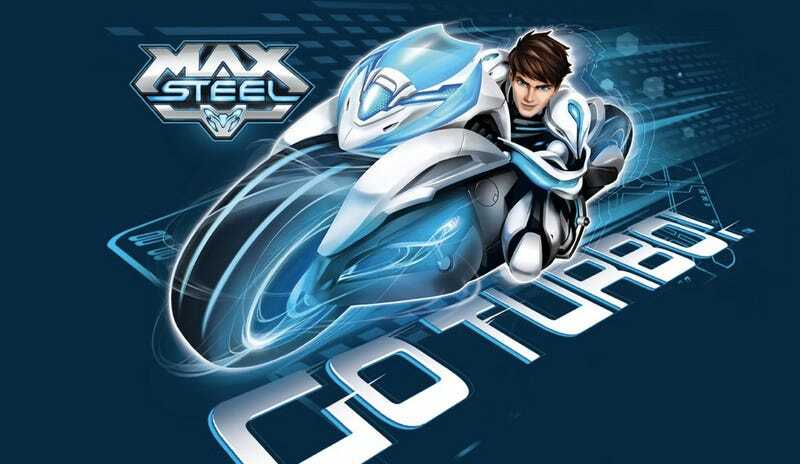 Max Steel — a cartoon that looks like Tron but isn't — is getting its own movie. Seriously, who do we have to jazz-dance seduce to get a live-action Thundercats movie instead? Max Steel is an action figure line from Mattel, which spawned an animated series that ran from 2000 to 2002, and a reboot that's currently airing on Disney XD. Originally centered around a sports star turned secret spy (as they do), the new Disney XD reboot is way crazier. Max Steel has been turned into two souls: Max the human organism, and Steel, his alien robot friend who likes to go Turbo and solve crimes or something. Christopher Yost will pen the live-action movie script, and Stewart Hendler is on to direct.